As a child, I always enjoyed reading adventure books which stimulated my imagination by taking me on wild journeys to new worlds and allowing me to encounter all sorts of characters and creatures. 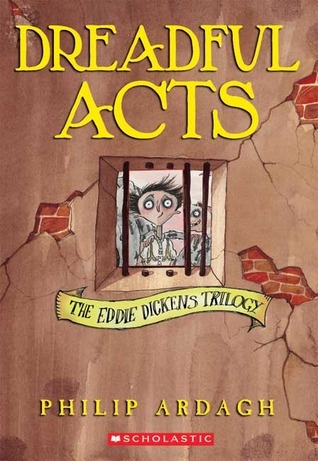 Over time, those childhood novels which I once read and loved, slowly disappeared from my imagination and memory. I always wished I could have captured the excitement of the journeys, which I got to explore through reading the novels. So my project will be based on a childhood dream of turning a novel into a 3D production. Create a concept of a character from a novel. Design a 3D model of a character. Have a charismatic turn around of the character. Have fully completed animation, with a duration of about 3minutes. Ill be using Illustrator, Photoshop, Maya, Audition and Aftereffect or PremierPro to complete this project. On Omri's ninth birthday, his best friend, Patrick, gives Omri a small plastic Indian figure. Although Omri was not particularly fond of the present, he didn't object and politely accepted his gift. Later that day Omri gets a cupboard from his older brother, Gillon. He uses a key inherited from his great-grandmother to open it. 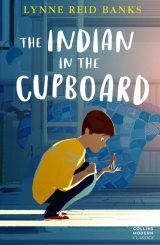 Omri, unaware that the key is magical and can bring inanimate objects to life, puts the toy Indian in the cupboard. When he awakes the following morning, he discovers that the toy has been brought to life to three-inch tall Iroquois man, also knowns as little bear. Omri and Little Bear explore his home and lawn, while Omri provides for Little Bear's basic needs. Omri places a toy horse into the cupboard, inserts and turns the key, and ends up with live miniature horse. Omri also does this with a toy soldier. 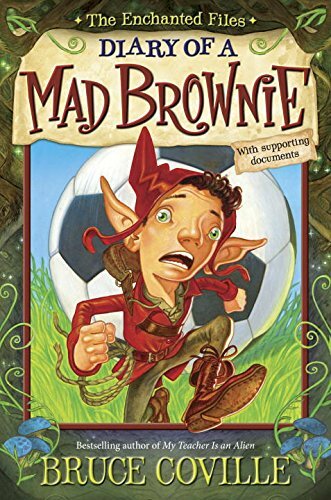 Soon, Omri's best friend, Patrick, finds out about the magic cupboard and brings a toy cowboy named Boone to his house to test the cupboard's properties. 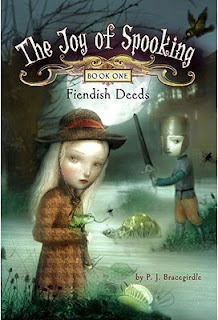 Since Ian Wigby and his sister, Theodosia, found the silver treasure box and the prophecy within it, their world has changed. 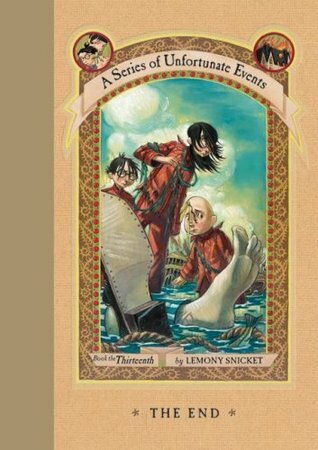 There's no denying what they discovered in Morocco: a powerful evil is budding, and to defeat it, and save the world from darkness, six uniquely gifted children must be gathered. 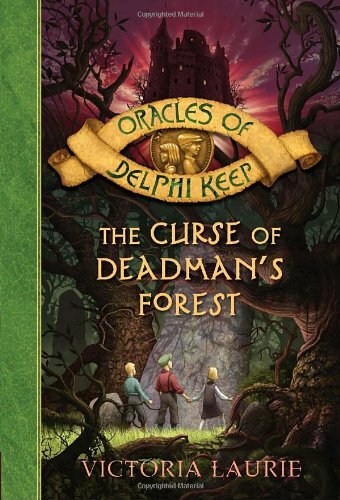 According to prophecy, a trip through the magical portal near the castle will bring them to the third Oracle--a child with extraordinary powers to heal. But the very same prophecy foretells Ian's death should he venture through the portal again. Everyone agrees: to risk Ian's life is too great a gamble. But when a terrible curse enters the keep, it becomes clear that there is no other choice. It's the terrible town on the hideous hill -- and Joy Wells is a proud resident. A fan of classic horror stories, Joy is convinced that famous author E. A. Peugeot based his spine-tingling tales on Spooking. Take the eerie similarities between the nearby swamp and the setting of his masterpiece, "The Bawl of the Bog Fiend." Could the story be true? Could the bog fiend be on the loose? Things become truly horrifying when Joy learns that Darlington, the despicable suburban city where she is forced to go to school, is planning to build a water park over her beloved bog. It is up to her to safeguard the endangered area and its secrets. Little does she know that there is someone determined to destroy not only the bog but the town of Spooking itself -- and anyone who dares stand in his way. 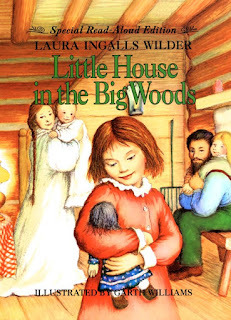 Little House in the Big Woods describes the homesteading skills Laura observed and began to practice during her fifth year. Hard work is the rule, though fun is often made in the midst of it. Laura gathers woodchips, and helps Ma and Pa when they butcher animals. Laura also helps Ma preserve the meat. This is all in preparation for the upcoming winter. Fall is a very busy time, because the harvest from the garden and fields must be brought in as well. The cousins come for Christmas that year, and Laura receives a doll, which she names Charlotte. 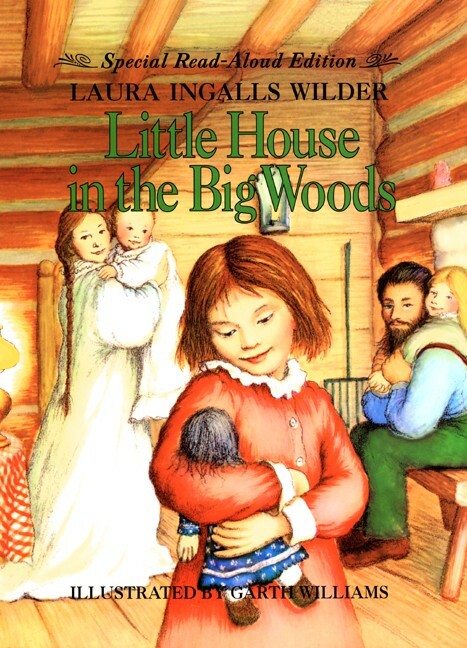 Later that winter, the family goes to Grandma Ingalls’ and has a “sugaring off,” when they harvest sap and make maple syrup. They return home with buckets of syrup, enough to last the year. Laura remembered that sugaring off, and the dance that followed, for the rest of her life. 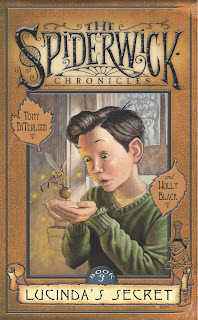 After the storm, Kit Snicket and a friendly snake known as the "Incredibly Deadly Viper" are shipwrecked on the island. 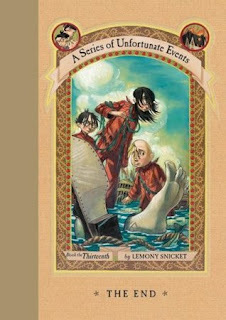 Count Olaf disguises himself as Kit Snicket. However, the islanders immediately see through Olaf's disguise and capture him. They then debate whether the orphans should be expelled from the colony when they discover that the Baudelaires are carrying items which go against the island's customs. The children, along with Olaf, end up abandoned on the coastal shelf. 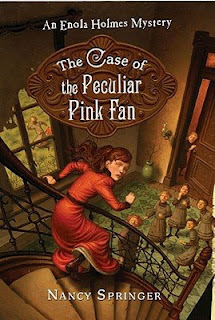 The Baudelaires notice an object that fell out of Ishmael's robe, which is an apple core. Olaf explains that Ishmael has been lying to the islanders and breaking their customs in secret. That night, two of the islanders, Erewhon and Finn, sneak out to feed the children and ask them to join a mutiny against Ishmael in the morning. 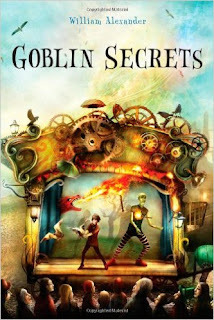 Simon, Mallory, and Jared Grace know that faeries are real-and that they aren't always the charming creatures portrayed in popular fairy tales. 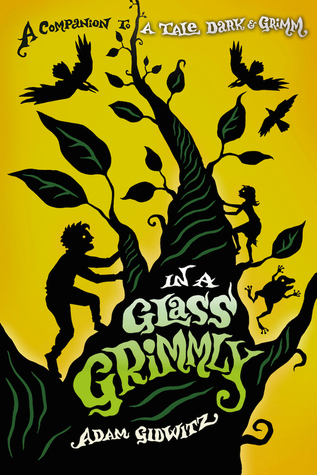 Ever since they discovered Arthur Spiderwick's Field Guide to the Fantastical World Around You, the Grace family has been surrounded by magical beings with decidedly hostile attitudes. 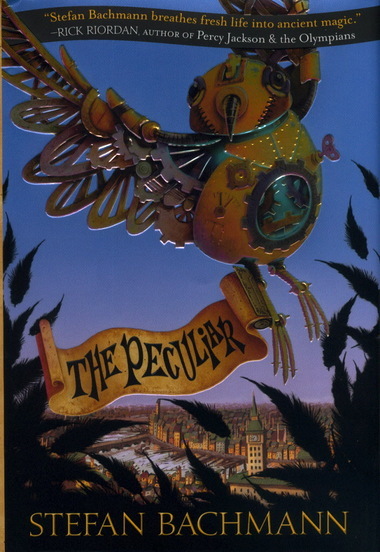 They have a wounded griffin convalescing in the carriage house, a spiteful house boggart playing malicious tricks, and even weirder the oddities lurking around practically every corner. 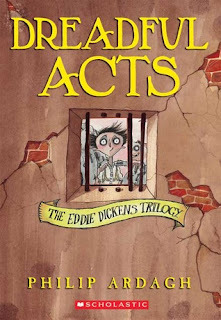 Hoping to learn more about the book and its long-vanished author, the kids decide to consult their Great-Aunt Lucy, Arthur's daughter. She has been hospitalized ever since she was attacked by faerie beings who suspected that she knew where her father's book was hidden. She warns that the family will be in grave danger if they remain at Spiderwick Estate. When the siblings find an old map that leads into the elves' secret forest, their aunt's grim prediction seems all too plausible. They decide to follow the map which leads them to a glade with elves residing there. They prevent them from leaving and ask for the guide. They attempt to keep Jared there as ransom but he outsmarts them and they are able to escape. 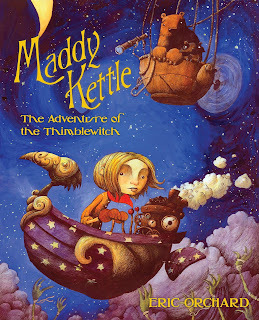 Later they resolve to find where Thimbletack hid the guide as they are "tired of being bossed around by faeries". Don't get yourself noticed and you won't get yourself hanged. In the faery slums of Bath, Bartholomew Kettle and his sister Hettie live by these words. Bartholomew and Hettie are changelings--Peculiars--and neither faeries nor humans want anything to do with them. One day a mysterious lady in a plum-colored dress comes gliding down Old Crow Alley. Bartholomew watches her through his window. Who is she? What does she want? And when Bartholomew witnesses the lady whisking away, in a whirling ring of feathers, the boy who lives across the alley--Bartholomew forgets the rules and gets himself noticed. First he's noticed by the lady in plum herself, then by something darkly magical and mysterious, by Jack Box and the Raggedy Man, by the powerful Mr. Lickerish . . . and by Arthur Jelliby, a young man trying to slip through the world unnoticed, too, and who, against all odds, offers Bartholomew friendship and a way to belong. 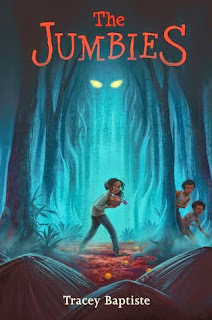 When Aunt Tabby and Uncle Drac head off to Transylvania, Araminta is upset -- they're going to be away on her birthday. However, when it turns out that her almost-grown-up cousin, Mathilda, will be babysitting, it seems things couldn't get any better. 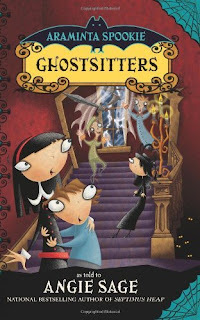 But Mathilda's brought along trouble: two rowdy teenage ghosts, Ned and Jed, who listen to no one. It's a disaster! Can the girls figure out a way to get Ned and Jed out of the house for good? 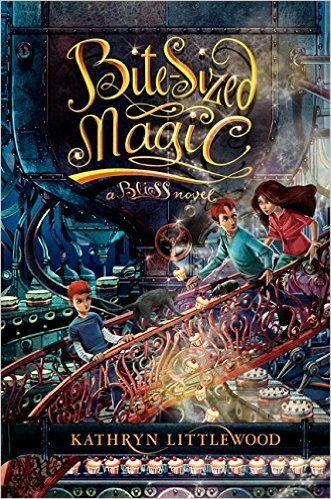 This third book in Kathryn Littlewood's acclaimed Bliss trilogy mixes the down-home heart-punch of Ingrid Law's Newbery Honor Book Savvy, the always-on-the-edge-of-chaos comedy of Cheaper by the Dozen, and a humorous magic all its own to create a thoroughly original confection, a delicious guilty pleasure for readers of all ages. Rose won back her family's magical Cookery Booke in an international baking competition in A Dash of Magic, the second novel in the series. Rose is now world famous—so famous, in fact, that Mr. Butter, head of the Mostess Corporation, has kidnapped her so that she can develop new-and-improved magical recipes for his company's snack cakes. With the magically enhanced Dinkies and Moony Pies, Mr. Butter plans to take over the world. Angus is a brownie. No, not the kind you eat! He’s a tiny magical creature that loves to do chores. Angus has just “inherited” a new human girl, Alex. To say that Alex is messy would be an understatement. She’s a total hurricane-like disaster—and she likes it that way, thankyouverymuch! Living with each other isn’t easy but Angus and Alex soon learn there is a curse that binds them. What’s worse, it threatens Alex’s family! Working together, Angus and Alex will set out to break the curse . . . without killing each other first . . . hopefully. 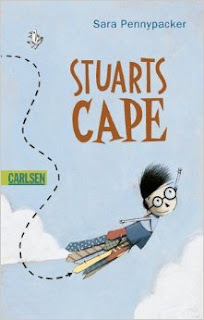 A quirky, inventive chapter book featuring an unusual hero--an 8-year-old worrier. Now in paperback! Stuart's got problems. It's raining. He's bored. And worst of all, he's new in town, so he's got a lot to worry about. What does a kid like Stuart need in order to have an adventure? A cape, of course! 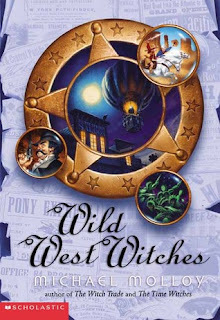 The final chapter in Michael Molloy's fun-filled fantasy trilogy, WILD WEST WITCHES will take readers on a fast-paced, action-filled, magical adventure through the old west. Wolfbane, lord of the Night Witches, wants revenge! After his humiliating defeat at the hands of Abby, Spike, and the Light Witches, Wolfbane vows to destroy them, once and for all. And he has a plan: He will steal the ancient sword of Merlin, and use its power to rule the world! Wolfbane may be evil, but he's not too smart -- and soon his plan has gone pitifully awry. Now Wolfbane is stranded in the Wild West, along with Abby, Spike, and all their good-hearted friends. Now it's a fight to the finish between good and evil!